Home » Miscellaneous, People & Places, Politics » No Response, But Does Patrick Faber Know the Deal on BIL? 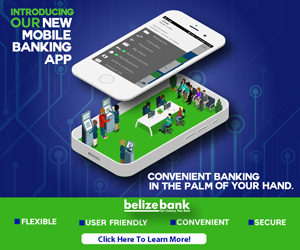 Acting Prime Minister Patrick Faber told reporters on Thursday that he has yet to personally receive a letter sent two weeks ago by Leader of the Opposition John Briceño, which asked to look into the contracts tendered out by Belize Infrastructure Limited, of which he is co-chair. 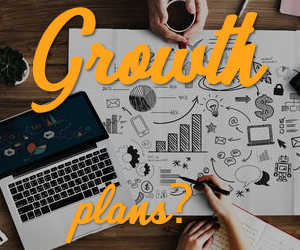 Briceño called for extensive details of who got what contracts, costs and other issues, charging that works completed under BIL’s supervision have poor design, lack proper execution and will result in losses of public funds. Today the P.U.P. shared a copy of the letter, which as Faber said is addressed to his office in Belmopan. 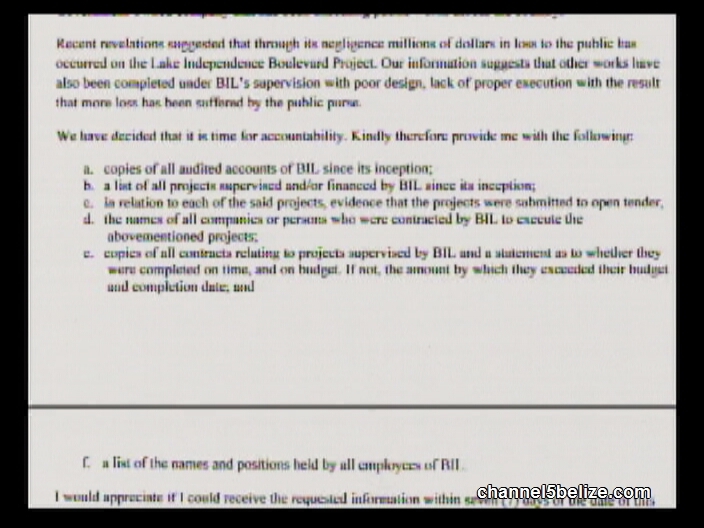 Briceño cites the Lake Independence Boulevard project as causing millions in losses through “negligence.” In the interest of accountability, the letter demands: (a) copies of all audited accounts of BIL since its inception; (b) a list of all projects supervised and/or financed by BIL since its inception; (c) in relation to each of the said projects, evidence that the projects were submitted to open tender; (d) the names of all companies or persons who were contracted by BIL to execute the abovementioned projects; (e) copies of all contracts relating to projects supervised by BIL and a statement as to whether they were completed on time, and on budget. 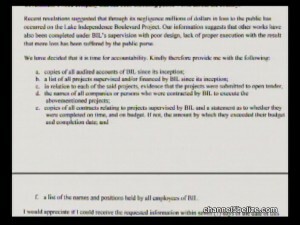 If not the amount by which they exceeded their budget and completion date; and (f) a list of the names and positions held by all employees of BIL. The letter requested a response within seven days, which ended on November eighth. Nine days on, according to Briceño, there has been none.